NCERT Textbook Solutions are considered extremely helpful when preparing for your CBSE Class 6 Science exam. TopperLearning study resources infuse profound knowledge, and our Textbook Solutions compiled by our subject experts are no different. Here you will find all the answers to the NCERT textbook questions of Chapter 13 - Fun with Magnets. All our solutions for Chapter 13 - Fun with Magnets are prepared considering the latest CBSE syllabus, and they are amended from time to time. Our free NCERT Textbook Solutions for CBSE Class 6 Science will strengthen your fundamentals in this chapter and can help you to score more marks in the examination. Refer to our Textbook Solutions any time, while doing your homework or while preparing for the exam. Concept insight: Only magnetic materials get attracted towards magnets. Concept insight: Paper does not get attracted to a magnet so it is not a magnetic material. Concept insight: A freely suspended magnet always aligns in north- south direction. Concept insight: A magnet of any shape always has two poles. Concept insight: Natural magnets were discovered in Greece. Concept insight: Like poles repel each other and unlike poles attract each other. Concept insight: Maximum number of iron fillings stick on the poles because the pull of a bar magnet is strongest at the poles. Concept insight: A freely suspended magnet always aligns itself in North-South direction. 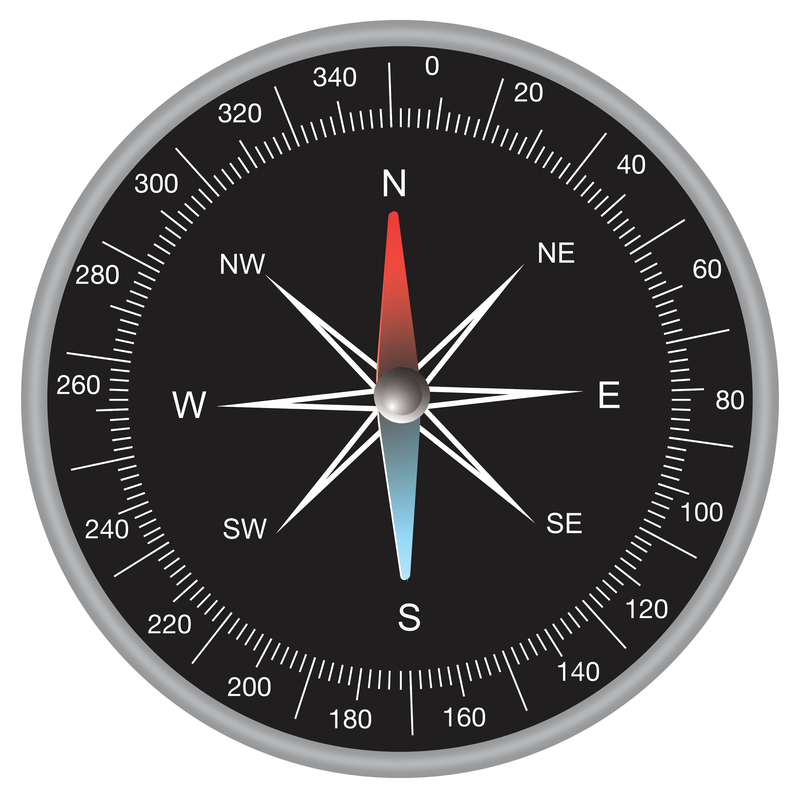 Concept insight: The needle of a compass points towards the North-South direction. If the North-South direction is known, then East-West direction can also be determined. This direction is perpendicular to the North-South direction i.e., perpendicular to the compass needle in the same plane. Concept insight: Rubber does not get attracted towards a magnet, so it is a non-magnetic material. The pencil sharpener gets attracted towards the magnet because it contains a blade made of iron which is a magnetic substance. 1) Each magnet has two magnetic poles - North and South. 2) A freely suspended magnet always aligns in North-South direction. Poles of a bar magnet are located at its two ends. A freely suspended bar magnet always comes to rest in the North-South direction. The North facing end of the magnet is its North pole, and the South facing end is its South pole (as shown in the figure). 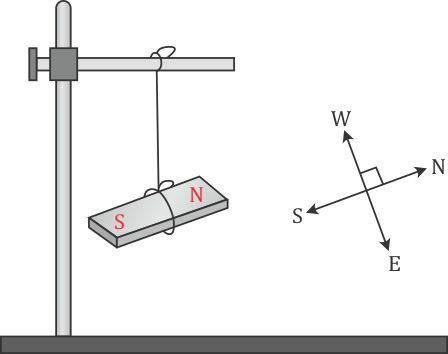 Thus, the unknown poles of a bar magnet can be marked by suspending it freely by a string. Take an iron strip and keep one end of a bar magnet at one end of the iron strip. Without lifting the bar magnet, move it along the length of the iron strip till you reach the other end of the strip. Now lift the bar magnet and bring its same end again at the initial point. Move the bar magnet again along the whole length of iron strip in the same direction as done before. Repeat this process about 30 to 40 times. Then remove the bar magnet and bring some iron filings near the iron strip and check if it is converted to a magnet or not. A compass consists of a magnetic needle with a dial marked with directions. The needle of the compass always comes to rest along the North-South direction. The compass is then rotated until painted end (North pole) of the needle is towards N (North) mark on the dial and the other end of needle is towards S (South) mark on the dial. We can now find any direction by looking at the dial of the compass. Boat gets attracted towards the magnet. Boat is made of magnetic material. Boat is not affected by the magnet. Boat is made up of non-magnetic material. Boat moves towards the magnet if North pole of the magnet is brought near its head. Boat is fitted with a magnet with South pole towards its head. Boat moves away from the magnet when North pole is brought near its head. Boat is fitted with a magnet with North pole towards its head. Boat floats without changing its direction. Boat has a small magnet fixed along its length. Magnetic materials get attracted towards a magnet. Non-magnetic materials do not get attracted towards a magnet. A freely floating magnet always aligns itself in the North-South direction. TopperLearning provides step-by-step solutions for each question in each chapter in the NCERT textbook. Access Chapter 13 - Fun with Magnets here for free.